Beautiful Incentives: Review on Beauty Box 5! Plus, a Bonus & LOTW! 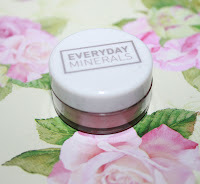 Review on Beauty Box 5! Plus, a Bonus & LOTW! 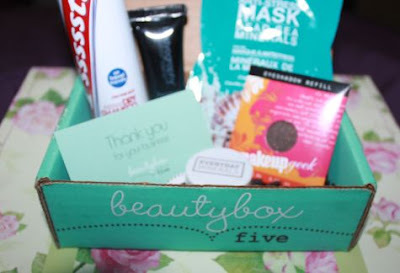 I had the opportunity to try out Beauty box 5, my very first monthly beauty subscription box. Beauty box 5 delivers you 5 beauty products every month in a pretty little package, for only $12 a month. This month I received the following with detailed descriptions. I am 80% thrilled with the products! 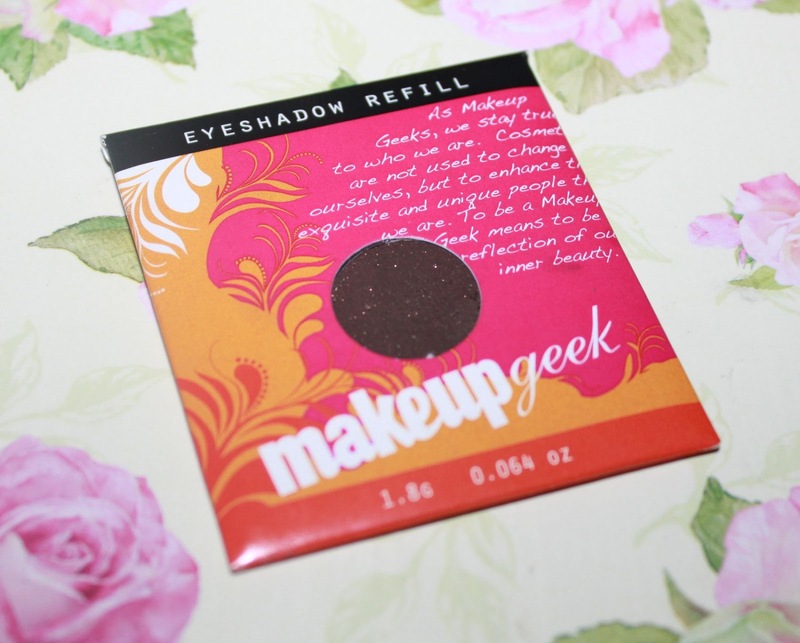 "Bada-Bing" Eye shadow - By Makeup Geek $ 5.99 per pan * Do not test on animals. This is a very gorgeous deep brown color, with bits of gold glitter. 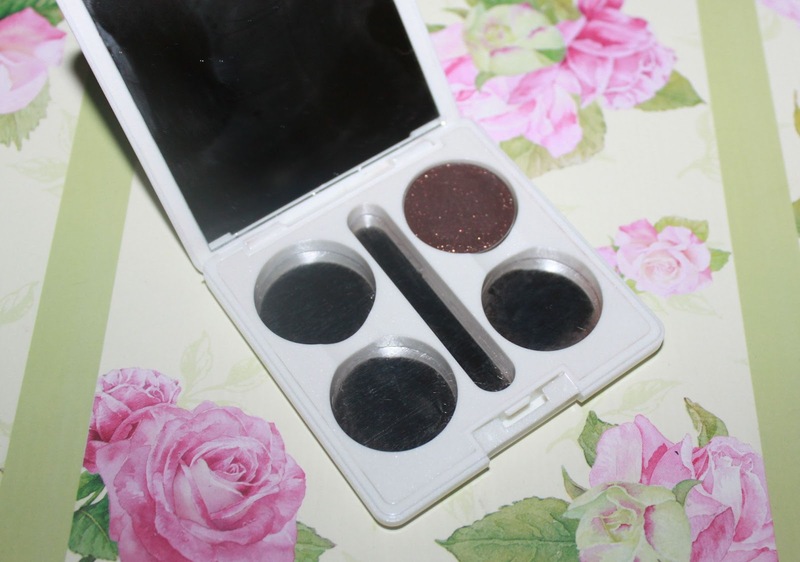 It is highly pigmented and goes on very smooth. 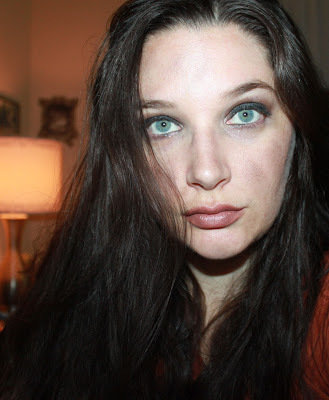 You'll see what it looks like when applied to my eyelids in the pics underneath this review. I am definitely going to check out more of this company's eye shadows. The pallets are expensive, but the pans themselves aren't too bad. I was a little bit annoyed that the eye shadow didn't come in a compact, because there was nowhere to put it and shadows get messy fast. 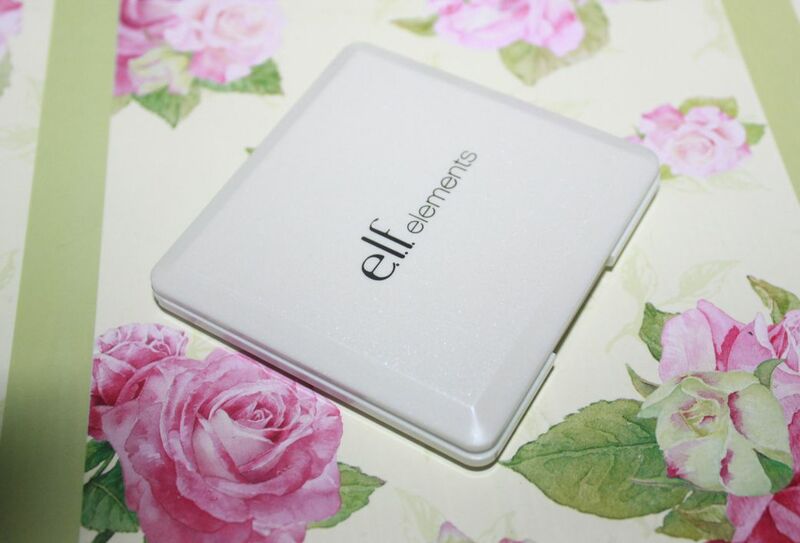 That is, until I realized that this pan just might fit that elf compact eye shadow holder I saw the other day. Sure enough, for $1 It found it's comfy little home. The ELF holder just got more amazing. I love that the pan from makeup geek is a universal fit. The same goes for the ELF holder. Win win! This blush is described to have a plum undertone to it, but all I really detect is a nice light pink. It is very pretty. 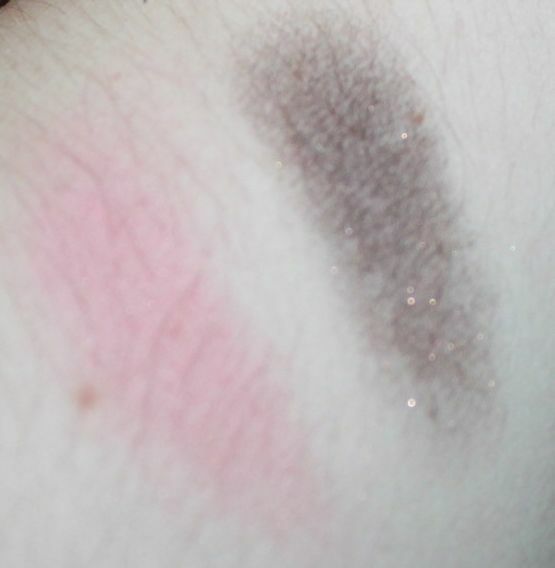 Take a look at the swatches of the eye shadow and blush. This stuff was SO much better than I ever expected. To add to my excitement, I found out they didn't test on animals. This is my first time ever using primer and I was really skeptical about how helpful it actually was. Well, it left my skin with an incredibly soft finish, and made my makeup glide on with the greatest of ease. Wow, I say, wow. This may be one for keeps. I still have yet to try out the Reviva labs one, which has gotten rave reviews as well. Hopefully I'll be able to soon! I really would love something that conceals my pores. Even if it's only slightly! Every week a makeup group I take part in has a new theme to create a look for. This week it was Industrial. This is what I came up with, utilizing some of the products reviewed today. I call it "The overworked welder". What do you think? I used the Bodycology foundation primer and the Makeup Geek "Bada Bing" eye shadow as part of this look. You can get a better view of the gorgeous brown on my lid, if you enlarge. Ignore the enlarged pores. They may look monstrous, but they mean you no harm. Go go gadget ZOOM FOCUS! That look was a lot of fun to create, and I only just joined the group a few weeks ago. I'll be using themes I do looks for here and there in my reviews, so keep a look out! 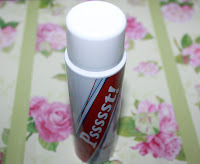 Psssst dry shampoo $6.99 for a full size - I couldn't believe this was *not tested on animals too! I haven't had the chance to try this, but I foresee it coming in handy on one of those in between washes days. 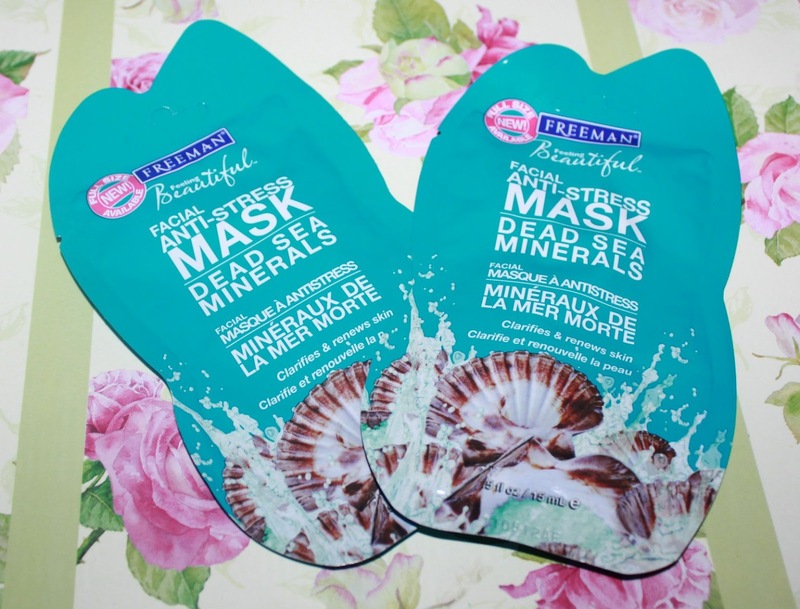 Freeman Dead Sea minerals face mask- $3.99 for a full size. Also * not tested on animals. That makes all 5 products animal tested free! This mask was nice. It left my skin soft and it was easy to use. I didn't see a noticeable difference of anything, just a nice softness. It supposedly aids in detoxing your face with the deep sea minerals and has anti-stress capabilities. I didn't feel any less stressed, but I think it's gonna take more than a mask to do that. My overall impression is that these were some amazing products to try out for that kind of price. I have seen some boxes that were somewhere in the realm of ridiculous? cheap? rip offs? This one delivered my moneys worth and showed me quite a few products I definitely want to buy full size in the future. I will have to make sure that every product Beauty box 5 delivers is going to be animal tested free though. Other wise, I can't bring myself to try out the products. This is the cheapest I have seen a monthly subscription box come, and I really did enjoy it. You have to be realistic with all of the monthly boxes, you are not going to love or even like everything, but it's there for you to find out if you will. Judging by what I have seen, the pros definitely have outweighed the cons of this one. I hope that I may have helped you become interested in a new product and a new subscription box! I love eyeshadow that delivers that strong pigmentation as it should be. The full size on the primer...oooh you are so lucky. Great review and I love the pics. Thank you for sharing your experience and I enjoy reading your honest reviews. Oh, it actually looks very pretty all put together. These products look great. I really like the blush and shadow colors, and you finished look is awesome. Great product samples and all for a great price. I will go check them out. Thanks for sharing this awesome information. 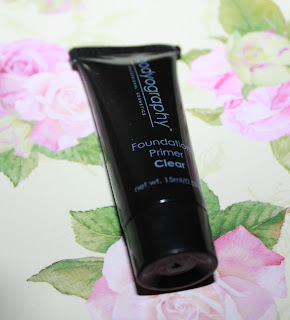 Love foundation primer, couldn't live without it! Must check out this subscription service. I totally love that all of the products you received were not tested on animals! That box is awesome and your eyes look great! That's awesome that the eye shadow fit in that holder! The make up looks great, and I, too love how it is not tested on animals! I was very happy with my BB5 when I got it: it's nice to be able to try something out before you buy! I really liked the Beauty Box 5 too. I got the same one and the eyeshadow was my favorite product out of everything- i love the sparkle. Love the look you came up with! I like eye shadows too> Not sure about all the other stuff though. Thanks for sharing your review! This looks like a great box for the price! I love the work you did on your eyes - a great night look! Big bonus that most of them do not test on animals. It does look good put together! Good job! Love the photo and this beauty box! Looks like you got great products! :) Great review! I'm loving the look! The Bada-Bing" Eye shadow looks awesome! I love the eyeshadow. I am glad you found a holder for the eyeshadow. Beauty box 5 gave you some nice products to work with. Love the look! Love the eye shadow and the look you did! I think the Beauty Box 5 is a pretty neat concept.. but I don't know if it's for me. I love the industrial look! Very pretty! Nice review too, thank you! The eyeshadow looks great! Glad you found a holder for it. Fun review!